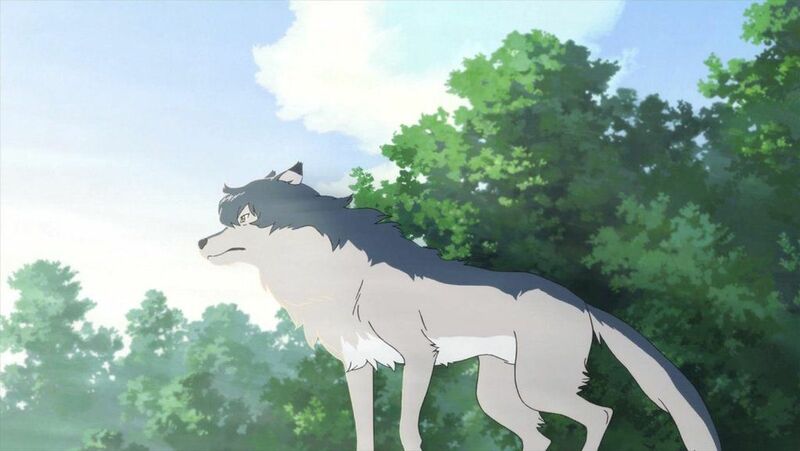 Description: Timber is like a brother to Rinni and quite protective of her. He can sense how she is feeling during any given situation and will act accordingly. An example of this is comforting her when she is scared or nervous. His personality is similar to Rinni's but also different. Unlike her, he has no self-esteem issues. He's also not shy in the least. He can also have a sense of humor at times, though he's mostly calm and serious. Description: Timber lunges at his enemy and savagely latches onto whatever body part is exposed to him. An example would be to bite their arm or leg. Description: Timber's howl causes moonlight to enshroud his body. He can then use this light to heal himself and/or others within the moonlight. It can't be used to heal celestials and similar summons. Description: Timber lunges at his target and savagely bites and claws at them. If the enemy is weak or small enough, he might knock them down in the process. Once pinned he'll continue his assault for the full duration or until he's interrupted by a stronger attack. Description: Timber let's out a loud howl. His eyes glow orange and his fur stands on ends. Small flames descend from the sky hailing down on his enemies. These can be dodged or deflected by strong or fast enemies. Telepathy: Timber can communicate with Rinni telepathically. He can only do this between him and her. During their telepathic conversations, Rinni appears as though she's talking to herself if she speaks out loud when responding to Timber. Other than telepathy, Timber is a normal wolf who cannot physically speak. Hightened Senses: As a wolf, Timber naturally has an increased sense of smell, sight, and hearing. This is usual for hunting or tracking people and animals. Intelligence: Even though he's an animal, he's very intelligent. He cannot speak on a verbal level, but he can understand human words. This enables him to respond to anything another person says, be it positive or negative, and if any were to underestimate his intelligence they would receive a rude awakening quite quickly. He can be quite sassy, and he has Rinni to be his interpreter to those unable to speak to animals. Description: Timber is like a brother to Rinni and quite protective of her. He can sense how she is feeling during any given situation and will act accordingly. An example of this is comforting her when she is scared or nervous. His personality is simular to Rinni's but also different. Unlike her, he has no self-esteem issues. He's also not shy in the least. He can also have a sense of humor at times, though he's mostly calm and serious. Description: Timber lunges at his enemy and savagely latches onto whatever body part is exposed to him. Example would be to bite their arm or leg. Description: Timber let's out a loud howl. His eyes glow orange and his fur stands on ends. Small flames descend from the sky hailing down on his enemies. These can be dodged or deflected by stronger enemies. Description: Timber's howl causes moonlight to enshroud his body. He can then use this light to heal himself or Rinni for 50% of their HP over the duration of the ability (25% + 25%). This ability cannot be used on anyone else. Hi Dark! It's ya boi Ivy here to grade your magic today - all edits will be made in this spoopy color. If you have any questions, please feel free to ask~! Before we get into anything, though, I'll have to let you know that you may only have 1 D rank ability and 1 C rank ability on a weak combat pet. Please select the abilities you'd like to keep, and delete the rest. Bump the thread when you're done, and I'll check them out then! Timber is a pet through Bonding magic so I get 2 extra abilities with him. Type: Combat pet Please state this is a bond pet and leave a link to the magic you are using him in as well. Description: Timber's howl causes moonlight to enshroud his body. He can then use this light to heal himself or Rinni for 50% of their HP over the duration of the ability (25% + 25%). This ability cannot be used on anyone else. Unfortunately, this buff would not be allowed. If you'd like to heal someone, you need to treat it like spell damage - they have to be healed by a certain amount, such as '60HP'. The amounts they can be healed by are equal to spell damage of the same rank and spell type. Additionally, you need range and speed for this spell as well, as you have utilized a statistic. Edits have been indicated above. Alrighty, one more edit for Moonlight Healing: what spell type is it? Does it affect a single-target, multiple targets, an area of effect, or a burst area? Please change the speed and range to match the spell type you pick. There is no need to know how long a meter is: all information is provided in Tables & FAQs if you need it ^^. Additionally, this is just an observation, but your spell is stated as defensive, yet it seems to be focused on healing. Perhaps that could be changed? Alright, this should be the last edit. Please lower the amount healed in Moonlight Healing to 45HP, as it can heal multiple targets. 1) Spells and abilities do not require cooldowns besides very, very rare exceptions, usually in lineages. You most likely will never have to worry about them! 2) Your spells can be either completely statless or they contain all statistics. Most of your spells appear to be statless, but because you mentioned the percentage stat in that particular spell, I had to ask you to include all statistics. Edited and tidied it up so it's easier to read!